1. 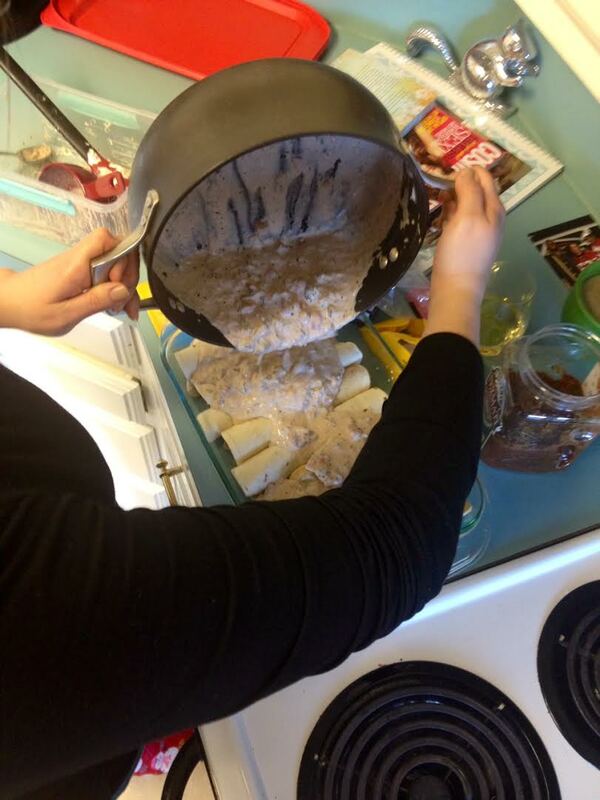 Place your cream cheese in a pot over the stove on low heat. Don’t rush this because it burns easily. 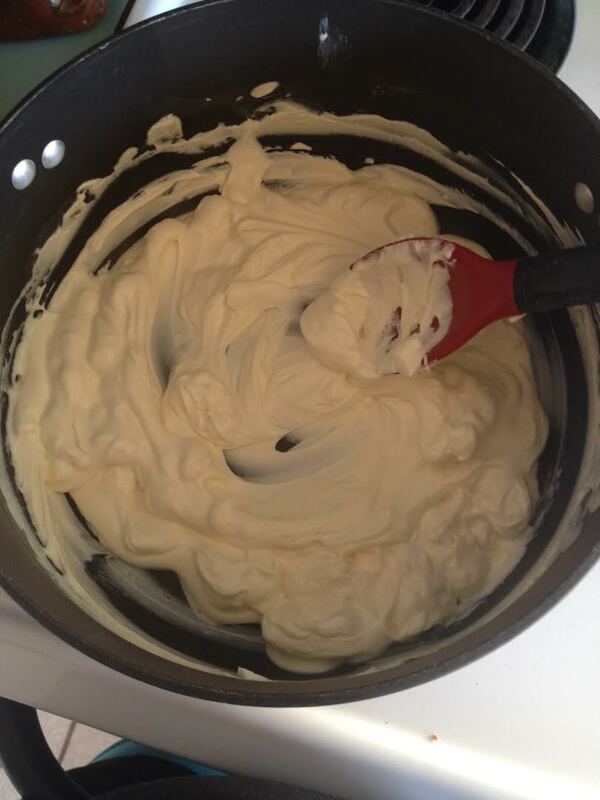 Keep stirring it around until it’s smooth and creamy like this. 2. 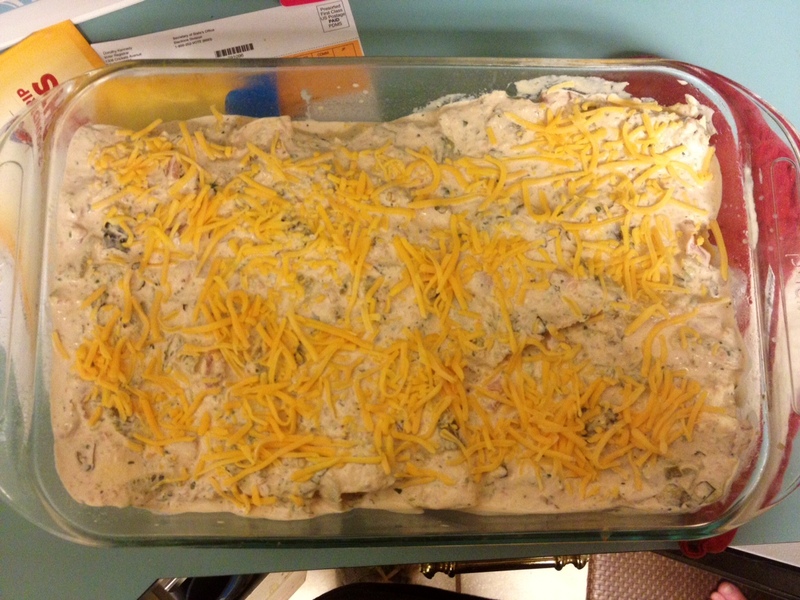 After it’s melted and creamy, add your salsa, Rotel, chiles, garlic salt, and pepper to cream cheese and stir. 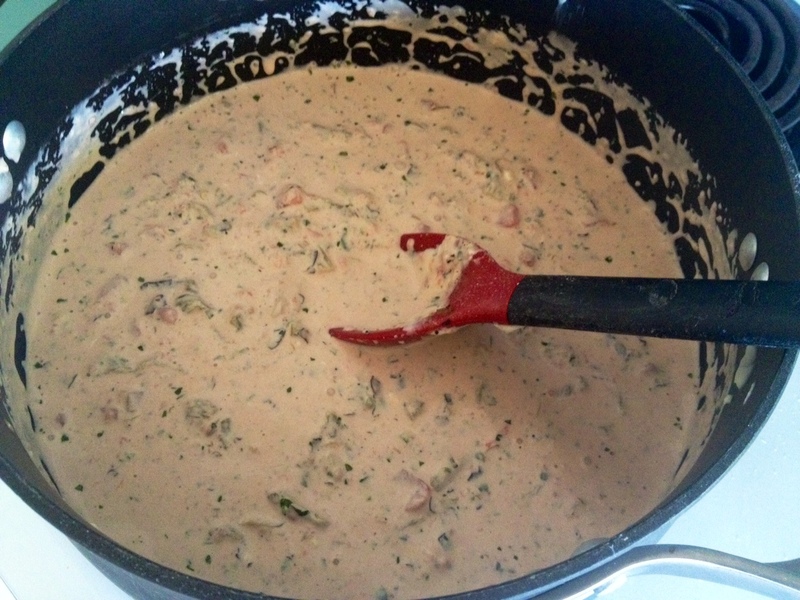 Taste the now pinkish mixture to see if you want to add more salsa to it or if you like it how it is. Keep on low to medium heat. 3. 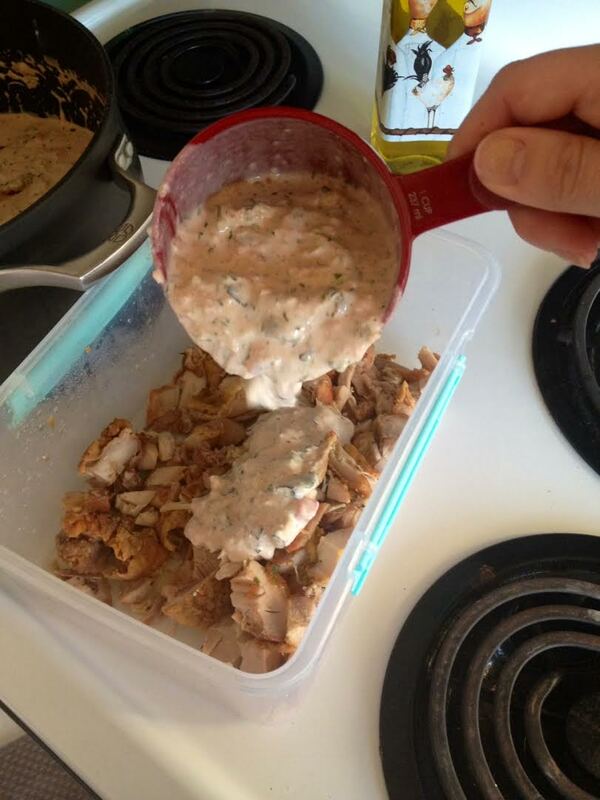 Take one cup of the cheese sauce and pour over your chopped/sliced/shredded chicken. 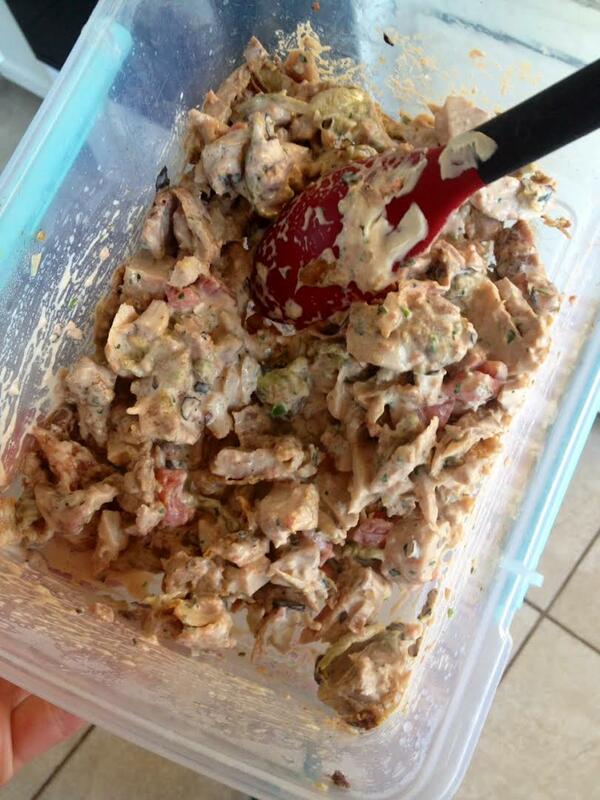 It will now sort of look like the most delicious chicken salad you’ve ever seen in your life! 4. 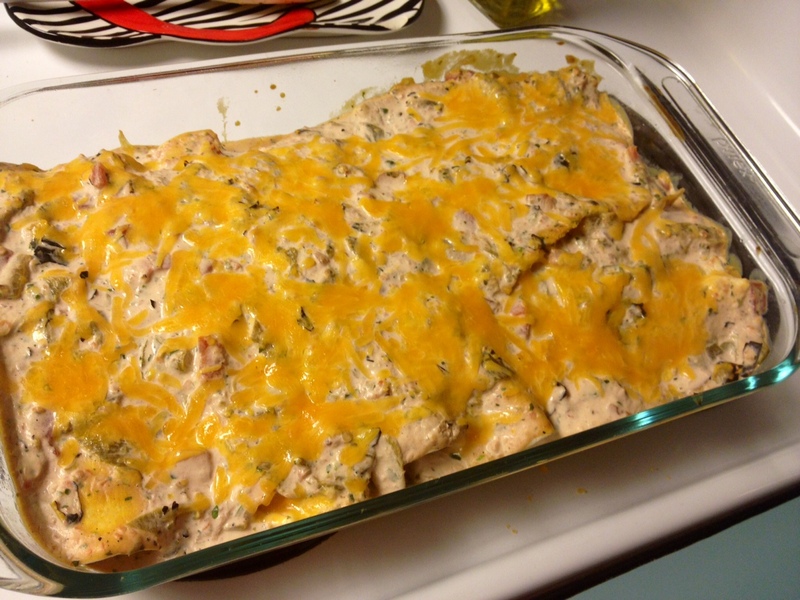 Spray a 9×11 baking dish with non-stick spray and preheat your oven to 350. 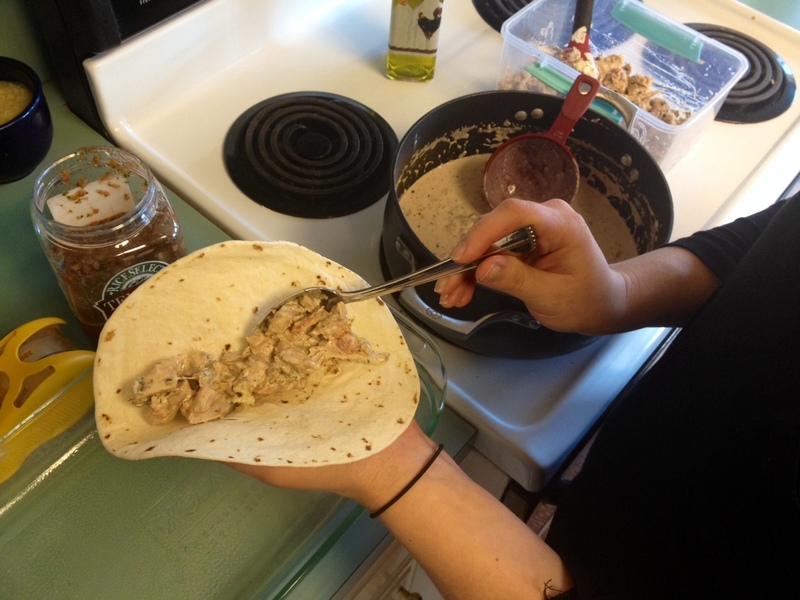 Start to fill up your tortillas with about two spoonfulls each of chicken mixture. 5. 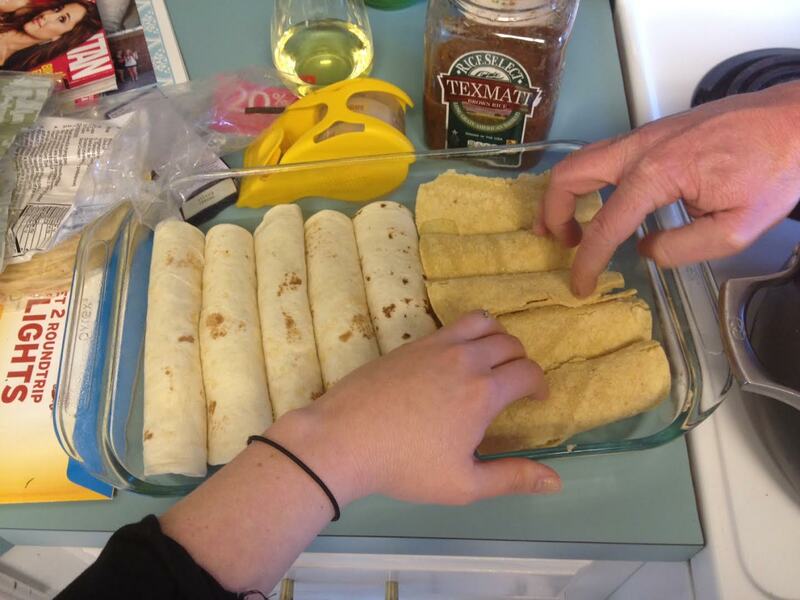 As you’ve heard me say before, I like corn tortillas and my husband likes flour, so I had him come in and help hold down the corn ones because they’re a little tricky sometimes. 6. 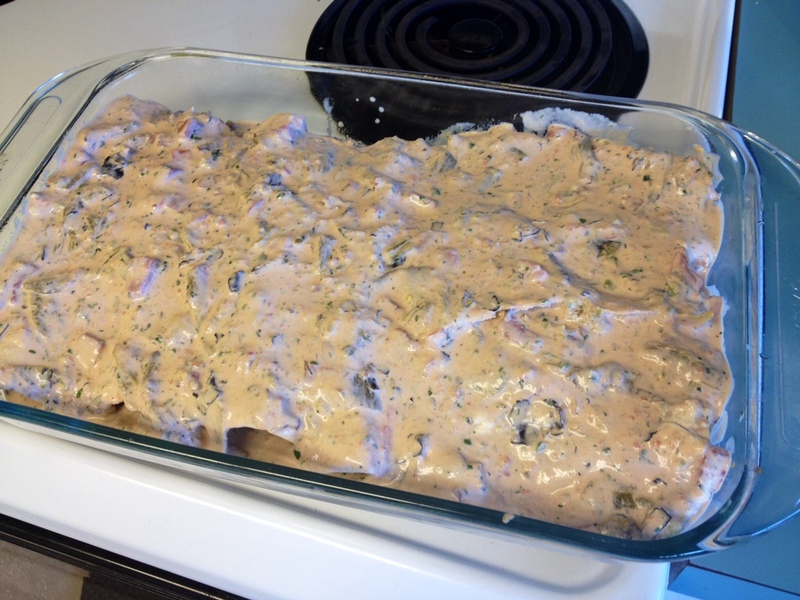 Pour the cheese sauce all over the enchiladas and make sure to spread it out so it covers the entire baking dish and there aren’t any “naked” tortillas. 7. 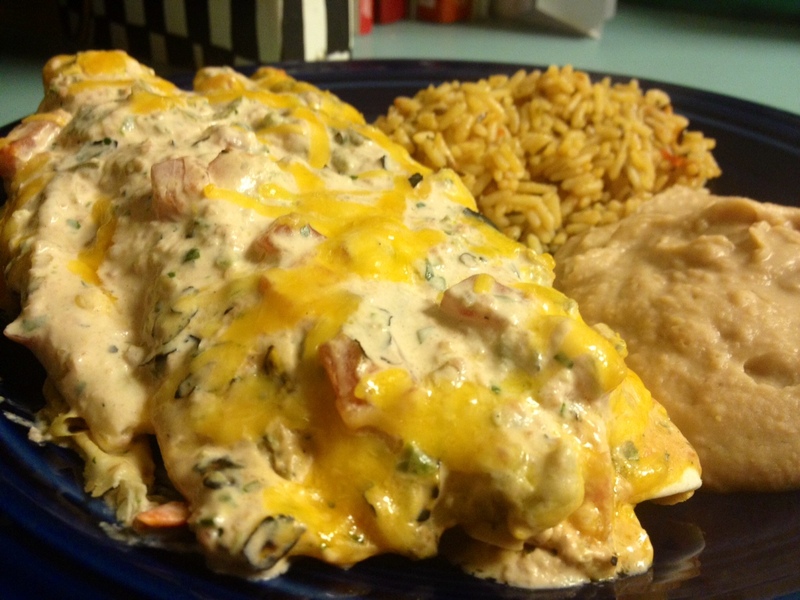 Sprinkle as much shredded cheese as you like all over the enchiladas.